Kyoto, the old capital of Japan. Centerpoint of history, arts and culture for centuries. 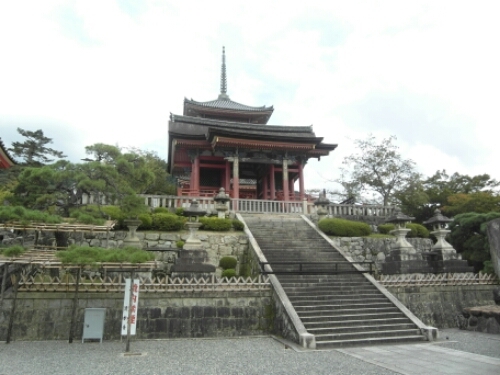 Where once the Emperor held court, before the capital was moved to Tokyo. A city of castles, temples, shrines and geisha. Kyoto of today is the 7th biggest city in Japan, with a population of almost 1.5 million people. For a thousand years the city was the capital of Japan, even its name simply means Capital City. In 1869, the Imperial Court moved to Tokyo, a move designed to strengthen the newly restored power of Emperor Meiji. 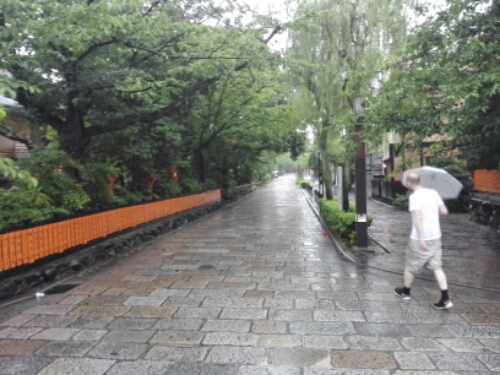 During the Second World War, Kyoto was relatively unharmed, spared by the American bombing. For some time it was considered a target for the atomic bombing of Japan, but was removed from the list due to its historical heritage. As a result, the city still has many prewar buildings standing today, and can give a glimpse into the Japan of old. I have only had the pleasure of visiting Kyoto two times, both times for two nights, so there is still a lot I haven’t seen in the city. I still hope you enjoy my posts from This city. 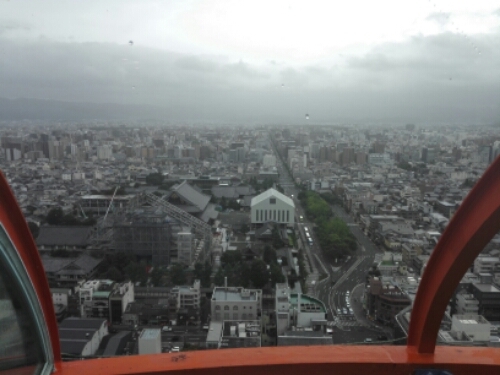 A great way to geed a good view of the whole city when arriving is visiting Kyoto Tower. Located just across the street from Kyoto Station, it is easy to find, and with an observation deck 100 meters up in the air, you can see all of Kyoto at once. I visited Kyoto Tower on both my trips. If you are visiting Japan in July, I urge you to visit Kyoto during Gion Festival, one of the biggest religious festivals in Japan, it goes on for almost all of July. 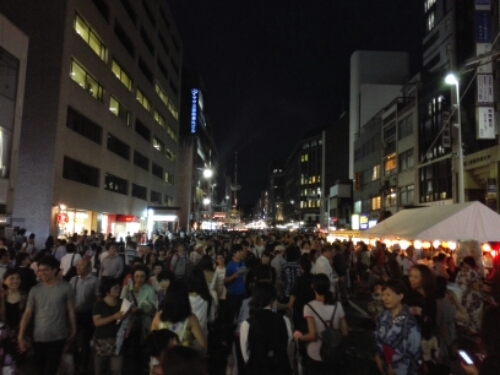 It is a good chance to experience a true Japanese festival, and have some great street food and sake. Like the rest of Japan, Kyoto has some great food. I have had some amazing sushi her, and there is never a problem finding a good restaurant or izakaya to eat. 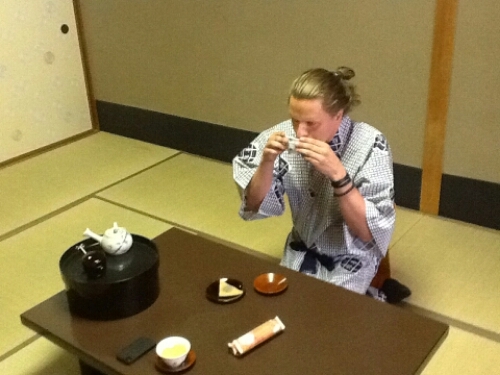 That is, if you like Japanese Food. 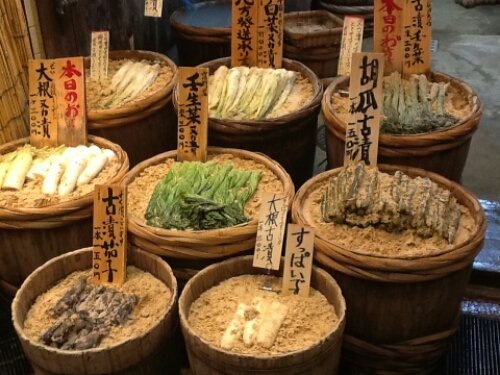 Kyoto also has a large food market, Nikishi Market, giving you a chance to see the variety of ingredients being used in the Kyoto cuisine. I could not name half of the produce being sold there. At night, Kyoto has a very good nightlife. The Gion District, the old Geisha District, is packed with restaurants, bars, izakayas, girls bars, dive bars and other drinking establishments. Even though it can be a bit hard for a foreigner to get into some of the bars, I advise you to venture into the Gion District to see what the evening can offer. I certainly do not regret it. 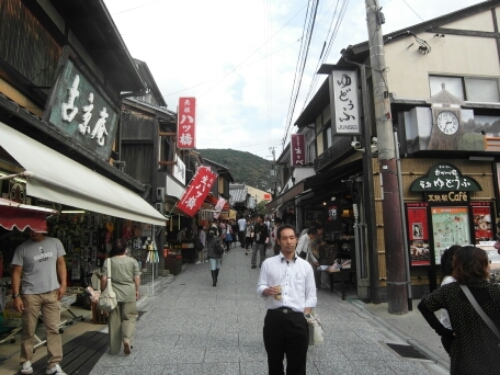 Kyoto is certainly on every traveller’s bucket list of Japan, and rightly so. It offers a glimpse into the old, real Japan, is packed with beautiful shrines and temples, has world class restaurants and a vibrant night life. With the massive influx of tourists, people here speak good English compared to many other parts of Japan. It can be easily reached by Bullet Train from both Tokyo and Osaka.